There are many components to SEO (Search Engine Optimisation) that all play a role in determining how well your site will rank for its target keywords. We typically separate these components into two categories; ‘technical’ and ‘optimisational’. The technical issues or problems such as canonicalization or indexation issues that can prevent a site from being indexed, crawled or ranked organically. More often than not this category addresses ‘problems’ or the potential for problems, that could impede or restrict your site’s organic visibility. The second category, ‘optimisational components’ concerns the augmenting of specific site components to more effectively target keywords and distribute authority to where it is needed. Within this section of the Raptor Knowledge Base, we have created a set of guides covering the optimisational components of SEO. If you want your site to rank for its target keywords, or to put it in a monetary value, if you want and organic revenue stream for your business, you need to keyword optimise your site. Producing great content that people want to read is awesome, but if it’s not optimised well, you will limit its potential reach and thus value. Assuming that you’ve done some keyword research and identified a list of target keywords & mapped them to your existing webpages; the next step is to optimise those webpages to the keywords. The aim of the process is to build relevance between your web pages, content and the keywords you want to rank and attract traffic from. As such it forms one of the two main pillars of SEO; Relevance and Authority. It’s also worth noting that many of the components in we discuss in this guide are important because they are ranking factors… Meaning that the optimisation of these components will have an impact on the pages ranking for their target keywords. These are components that are considered to be a part of Google’s algorithm, things like Page Titles, and H1 Headers fall under this category. Optimising these components will have a direct impact on the site’s ability to rank. These components should be keyword optimised. These are things like the Meta description which is not considered to be assessed by Google’s algorithm for relevance to a target keyword. But the Meta description does directly impact CTR (Click Through Rate) which is a hugely powerful and direct ranking factor. Thee do not have to be keyword optimised, but often benefit from being so. These are the components that we mentioned at the beginning of the guide like canonicalization and indexation issues, HTML errors or other impediments to your website. These components are not keyword optimised. As we have already alluded to, this is really a process and one that often continues in iterative strategically driven cycles over time. The on-page Keyword optimisation process is really a sub-routine of a larger process. Typically, you will conduct keyword research, competitor analysis, content audits, etc in order to establish an SEO strategy. During the early phases of the strategy you will most often perform the on-page optimisation; with the mid to long range phases expanding the on-page focus with a content strategy and a building authority through link acquisition. That said, most sites will have short, medium and long-term keyword strategies that allow for more competitive keywords to be targeted over time. Thus, the process of on-page keyword optimisation can take place at multiple points throughout the overarching SEO Strategy. The process of optimising your site for target keywords begins with mapping keywords to URLs / pages of your site. Assuming that you’ve done your keyword research, you should have a list of keywords. Grouping these into small closely related clusters and then assigning them to a page is how you map keywords. Obviously, the keywords being mapped should be relevant to the page and the content on that page. At this point you now know what the target keyword should be for any given page and you can now start to optimise those pages for their target keywords. This involves using the keywords within the on-page components that we describe in the next section. We have detailed and described below each of the on-page components that can be optimised for a keyword. Some of these are isolated components and others are sitewide changes that need to be considered or mapped out in more detail. Each of these components are given full explanations in their own guides, so for more information on these components follow the links in each section to learn more about them. The more closely related these keywords are that a page targets, the better. Having completely different keywords targeted by a page, especially where they don’t share a similar meaning; can dilute the keyword focus. Each page should target unique keywords, with common sense guiding you… Do not create a page for each of the following keywords; electricians London, London electricians, electrician London, London electrician, electrician in London, electricians in London. Instead group these almost identical phrases into a single cluster and target them with a single well optimised page. All of the components below perform a function or provide value outside that of their impact on SEO… Consequently, these other attributes need to be strongly considered when making optimisational changes. For example, the header tags are designed primarily to head sections of content on a page and are thus require to be relevant to the content that they head. Ignoring this rule can lead to a very spammy site and one that doesn’t weight the user experience first. Collate all of the keyword optimisation recommendations into a single location (spreadsheet). 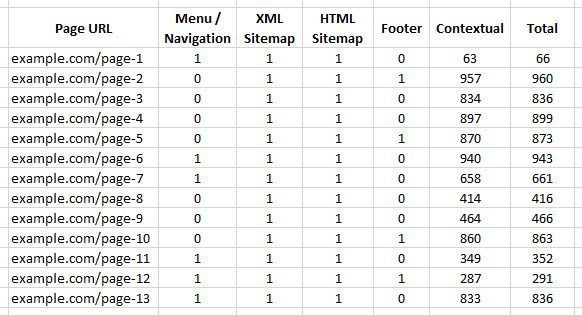 This begins with the keyword mapping, then for each page you specify the page title, meta data, headers, etc. This isn’t just for sending to a client or a web developer; even if you will personally implement these recommendations, this will make the whole process easier and more efficient. You can also refer to this later on, or pass it onto other people who may work on the SEO for your site. Strive for relevance and always consider the user first… Trying to force keywords into sentences rendering them grammatically incorrect or optimising your contact us page for a top tier term; is not how it should be done. Otherwise known as ‘title tags’ these are widely considered to be the most influential on-page SEO component. Page titles are a direct ranking factor and as such they should contain the keywords that the page targets, in a structured format. By primary, secondary and tertiary, we are referring to their value to you, with the most valuable keyword being at the beginning of the tag. This is the structure that your keywords should appear in within the page title. Page titles do not need to read like a sentence, as such you can use specific keywords within them that may be much harder to fit into a sentence. If you have mapped your target keywords to your site’s pages, you can often programmatically create Page titles, making these a quick win for most sites. This allows us to see which Page Titles exceed the character limit, if these are isolated / the minority of cases they can be addressed manually. Once you have finished this task, you can pass this onto the web developer who manages your site to implement. Read more about Page Title. This, along with the fact that your Meta descriptions are the sales message that encourage clicks and CTR (Click Through Rate) are the reasons why this is a hugely powerful indirect ranking factor. Use of the top two target keywords within a Meta description is reasonable, but it should not be a dumping ground for keywords. Meta descriptions need to make sense, but can be a series of statements pushing different value propositions with nothing connecting them. Unfortunately, this process is a lot more arduous than constructing Page titles! It can be addressed programmatically, but you still have more leg work. One way to address this is to create a series of sales messages in Excel, based on the USPs (Unique Selling Points), value propositions, sales & marketing collateral, etc. Continuing the above example, where we have mapped keywords to pages, you can use these keywords and randomise combinations of sales messages or statements to construct the Meta description. This can be a useful technique of large sites, but more attention and manual focus should be given to the more valuable and top-level pages. Nothing beats a hand-written Meta description in most instances! Read more about Meta Description. In general, the heading tags are able to reinforce the keyword theme of the page, and Google puts more emphasis on the H1 than other headers. As such, the H1 should contain the primary target keyword, you can include other keywords but the H1 should make sense… It’s not a Page title and shouldn’t be used to just list keywords. For example, if you are targeting the keyword ‘travelling Asia’, the H1 could be “The complete guide to travelling Asia” or “Travelling Asia - A Beginners Guide”. This makes the H1 more compelling and ensures that the keyword is targeted. Again, we continue to add this data as an additional column within the keyword mapping spreadsheet. There isn’t always an easy way to programmatically create H1’s unless you plan on keeping them to including just the target keywords or something similar. For example, you could prefix ‘The complete guide to “, each keyword and concatenate these in Excel. However, this does lack the creative flair that should be present in your headers. Typically, headers of all types should be manually created, at least for top-level or high value pages. We recommend crawling the site and pulling out all existing H1 headers; then map / VLOOKUP this data into the keyword mapping spreadsheet. From here you can optimise them manually for the target keyword/s. Read more about H1 Header. Not every page will use other headers (H2, H3, h4, H5, and H6), with H6 headers being very rare indeed. That said, when they are used, by their nature, headers are able to drive emphasis onto the target keywords. Although keyword usage is not as valuable or a necessity as with the H1, other header tags provide an opportunity to use variants of the primary target keyword. As with the H1, other headers need to make sense and shouldn’t just be a dumping ground for ancillary keywords. The process for this is broadly the same as the manual process for the H1’s, there is no way to programmatically create other H tags as they need to be relevant to the content that sits under them. Extracting the other headers through a site crawl and pulling this data into the keyword mapping spreadsheet, allows you to manually change or add where relevant. Read more about Other H Headers. Internal links distribute authority around your site, but they also provide contextual relevance through the anchor text. Hence, you should use the target keywords of a page and variations of them within the anchor text of links pointing to those pages. This is not the same job as creating page titles or H1 headers… Those components are unique to specific pages, the internal linking structure of your site is an interconnected web. Here we are looking at unique links, so if a link exists in the menu on all of the pages, it still counts as one unique link in this case. The contextual links are the main metric here, in this example data we can see that there are a lot of links, too many to review manually. This formula adds up all cells in column D that correspond to entries in Column A that match cell I3 (which is the page). Here we are dividing the number (see above) by the total number of links to any particular page, in order to calculate the ratio. This allows you to quickly see which pages have well optimised anchor text links and which do not. Once you have established which pages do not. Once you have established what pages need to have more optimised anchor text internal links, you can set about making recommendations for the keywords to be used. Ensure that you keep a good amount of variation within the anchor text, you are not aiming for 100% of the anchor text to be an exact match keyword rich link. Reviewing competitor sites can provide some insights as to what the average ratios are. These can be used as benchmarks to safely optimise your site to. Read more about Internal Links. The alt attribute to image tags help to put further emphasis on your target keywords, when the keywords are used within them. That said, the alt attribute should be descriptive of the image, thus your images should be relevant to the theme of the keywords. For this component you will need to crawl the site and extract all of the alt tags per page, you can align these in the keyword mapping spreadsheet with the pages listed there. Using the same formulas and techniques described in the above section on anchor text & internal linking, you can score the alt attributes with a 0 or 1 depending on whether they contain the keyword. Those that do not contain the keyword, but could justifiably do so, should be altered accordingly. Read more about Image optimisation. These can be the filenames of images, videos, audio files, PDFs or other media files. Something to consider with these is if the file is unique to a page, in some cases an image might be used on several pages. If this is the case, it is not possible to have it target the most relevant keyword on each page. There are two points to consider here, firstly; there is significant benefit to using unique content, whether it’s a video, image or text on any page. Secondly, filenames should not contain every keyword of every page they are present on, they should be targeted to just one or two primary and relevant keywords. You will need a new worksheet or tab to put this data into, within the keyword mapping document. Extract from a crawl a list of all media files and the pages on which they are located. Using the same formulas and techniques described in the above section on anchor text & internal linking, you can score the filenames with a 0 or 1 depending on whether they contain the keyword. You will need to filter out those that are on multiple pages as these will be handled separately. The media files that appear on only one page should be optimised for the keywords that the page targets. The media files that appear on multiple pages need to be manually reviewed to decide which keywords they are best suited to target. These include things like OG (OpenGraph) Facebook tags and Twitter Cards… They often come with attributes like title and description, image, etc. All of these can be keyword optimised on a page by page basis. Remember though, that these are tags designed to control how your content appears when shared on these platforms. Social media often rewards different behaviour such as clickbait titles, don’t sacrifice the success of your social strategy in order to make minor tweaks to your SEO strategy. This can be done programmatically, but as mentioned in the above paragraph that is typically a poor way of doing it. Ideally, you need to manually create these tags in line with your social strategy. Read more about Social Tags. Not in every case, but often with structured data you can optimise the item properties to target keywords as they often include fields like title & description, that can and should include the target keyword/s of the page on which the structured data sits. You will need to extract all structured data from a crawl of the site and pull out fields like title & description where they exist and align them with the pages in the keyword mapping spreadsheet. With some care to ensure that you’re maintaining a reasonable degree of relevance, you can programmatically create titles from the Page Titles (you created earlier). Ensuring that you do not exceed character limits and other policies or guidelines. For descriptions, you should also include the target keyword or variants of it, but these have to be manually created based on the content they are marking up. We always include this because Bing still use this tag. We never recommend adding it (if the site doesn’t use it), but if it does, ensure that it uses the target keywords of the page. Simply concatenate the keywords with commas separating them, to put them into the right format to be copied and pasted into the tag. Read more about the Meta Keyword Tag. Last but not least! Content is still king and it’s better to have a keyword optimised king in this analogy! By page content we are talking about the meat of the page, not templated text or menu text, rather the body of content on the page. We have already covered headers, which are part of the page content, here we are referring only to the <p>…</p> paragraph text. Many SEO’s will cringe at the sight of the words ‘keyword density’ but we fail to see how this is not a metric worth looking at. We discuss this topic later on this guide. With some basic filtering, you can quickly identify the pages that are not optimised to their target keywords. You can also see if there are pages that may be seen as spam due to the overuse of keywords on the page. This allows you to easily make top-level recommendations and guide you to the areas that most demand your attention. Read more about Page Content. This is worth a mention as it’s easy to get carried away, misinterpret or misunderstand the extent to which you can optimise a page or site using the techniques described in this guide. This is the act of using the keywords within fields an unnatural, unnecessary and hence unwanted number of times. A classic example of this would be stuffing a Meta keyword tag with 30 keywords, or creating a div container with the keyword repeated loads of times. Keyword usage should be natural, sensible and adhere to the guidelines that we have set out in this guide. A lack of variation in the keyword used can become unnatural, for example; when every internal link uses the same anchor text. Even within the page content, you should use variants of the target keywords. Any unnatural behaviour like hiding content from users but showing it to Google, in order to build relevance to a keyword is a massive no-no! 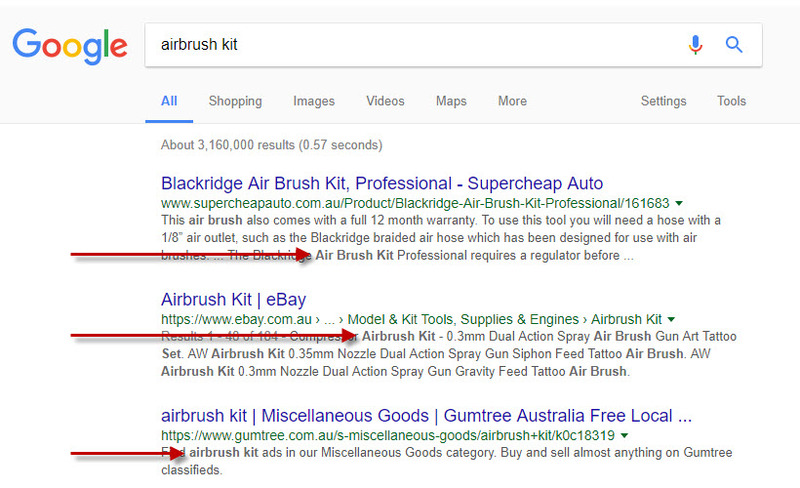 You have to ask, are you making the page easier for Google to determine its relevance to your target keywords, or are you trying to trick them into thinking its relevant? We touched on this earlier and despite the hate it gets, this is a completely valid metric to use. If we are looking at 5-10 competitor sites and analysing their content and keyword optimisation… We would look at the keyword density to get an idea of the benchmark in that industry. A great example of this would be with comparison sites; they often have large tables comparing financial products like home loans or credit cards. Due to the nature of the tables, you will often find that the keyword is repeated 30, 40, 50 times in multiple regions of the page. Understanding what competitors are getting away with or doing to achieve results can act as a guide for your site. 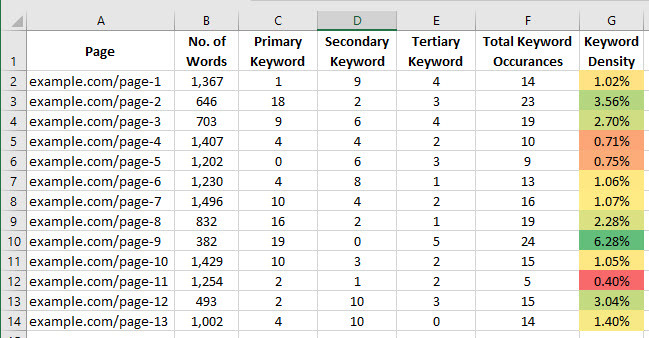 You can also look at the keyword density for a range of keywords and look at the proportions they are used in to help guide your own on-page keyword strategy.